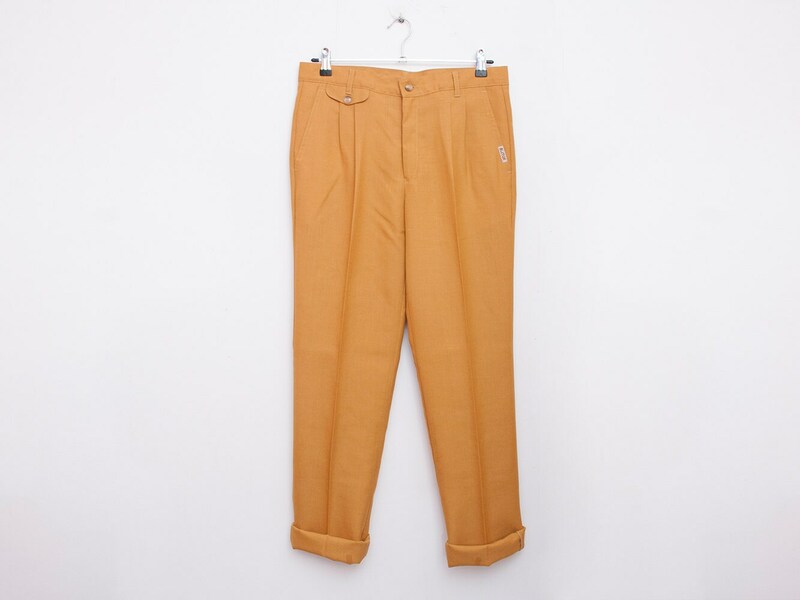 Vintage Dead stock mustard trousers, small darts, cigarette pants. 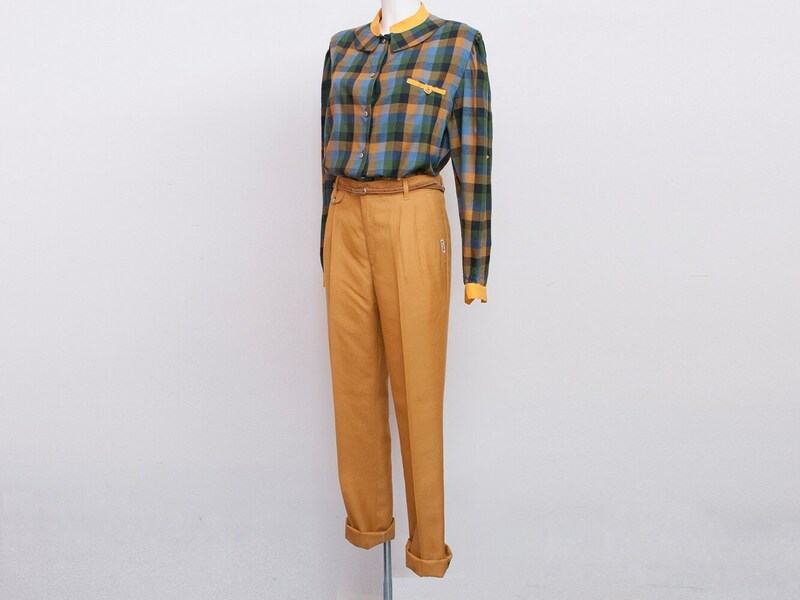 brown background, red, blue, green, yellow and beige plaid. pockets on the sides, one pocket on the back. In perfect condition, these trousers are brand new, they have never been sold.